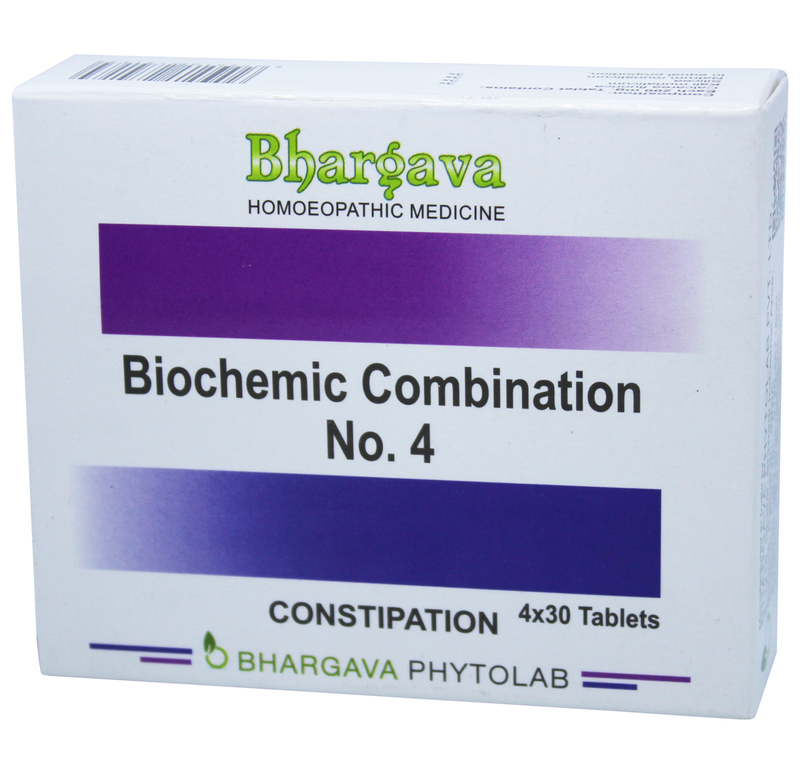 Bio Combination 4 helps in overcoming the constipation problem. It is helpful for constipation without any apparent cause, stools are dry and hard and bad taste in the mouth. Doctor Bhargava Bio Combination no. 4 is a result of techniques perfected over 100 years of practice. It is also helpful when the tongue is thick coated and there is a dull headache due to constipation. Start taking Homeopathic medicine today and get the best treatment.